This week’s Evolution 101 blog post is by MSU graduate student Byron Smith. 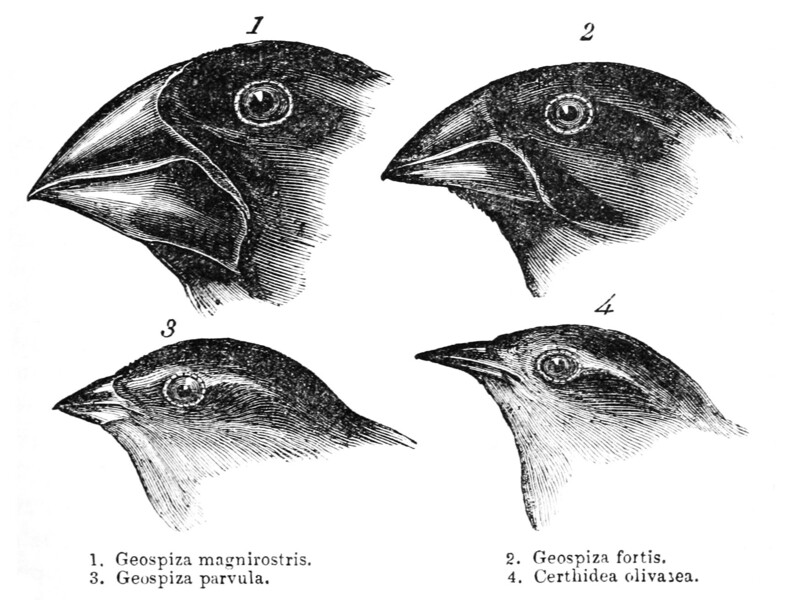 Evolution is often thought of as a constant, gradual change in the characteristics of a species based on how well those traits are adapted to a static environment. A more nuanced understanding of evolution, however, discards this linear and rigid concept in favor of a much more dynamic (and interesting) process. Environments are generally recognized to be anything but constant, resulting in an ever changing fitness landscape, the relationship between the characteristics of organisms and their reproductive success. Even the most commonly used examples of evolution demonstrate the impact of ecology: think of the adaptation of Darwin’s finches to the fluctuating availability of seeds, or the peppered moth, which increased its pigmentation, maintaining its camouflage after soot from the industrial revolution changed the color of the moth’s habitat. Ecology clearly influences evolution. What is less obvious, and has only recently become apparent, is the reverse: the potential for evolution to impact ecology. The bi-directional interaction of the two, called eco-evolutionary dynamics, was long considered unlikely because of the assumption that evolutionary changes occur on much larger time scales than ecological ones. Among others, a landmark study by Takehito Yoshida et al. (2003) demonstrated that microscopic communities of algae and rotifers (a predator of algae) show different predator-prey dynamics when natural selection is given genetic variation to act on. It is legitimate to point out that this system benefits from an increased rate of evolution due to the short generation time and large population sizes of the microorganisms studied. These characteristics suggest that eco-evolutionary dynamics play a larger role in microbial systems than slower evolving animal/plant dominated ecosystems. Understanding these phenomena will likely be an important part of the current revolution in microbial ecology. Many simple, real world evolutionary games, especially those in microbial systems, are great examples of a feedback between the environment and evolution. A common example of an evolutionary game is the group production of iron scavenging machines called siderophores. Since iron, a vital nutrient, is found outside of the cell, siderophores are released by an entire population of needy microbes. After a siderophore grabs a molecule of iron it is collected by a bacterial cell to be used in important cellular processes. Since everyone is doing their part and producing the costly collecting machines, everyone benefits from the increased iron availability. What happens, however, when a few of these bacteria mutate to not produce siderophores, but continue to collect them from the environment? Since the freeloaders don’t pay the cost of production, its fitness is larger, and its population grows. At some point, however, the number producing bacteria drops too low and iron collection becomes nearly impossible. The ecology of iron scavenging in bacteria is at the whim of evolution. That is not to say, however, that eco-evolutionary feedbacks are limited to microbes. Among others, Eric Palkovacs et al. 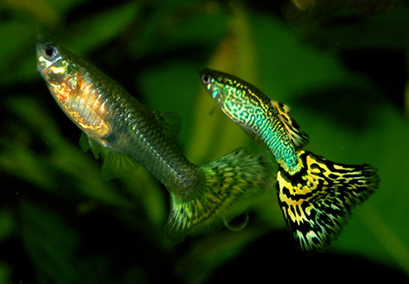 (2009) demonstrated that evolution of native guppies in Trinidadian streams influenced a variety of ecosystem properties, including algal and invertebrate biomass.